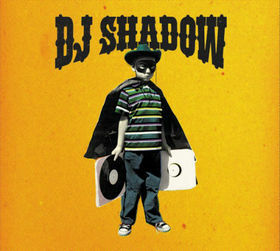 'Six Days" is a song by American hip-hop artist DJ Shadow, from his second album, The Private Press. The song was written by Brian Farrell and Dennis Olivieri, and was produced by DJ Shadow. It was released as the third official single from the album in 2002. Little Ditties. The Gulkin Gazette. Ta Da! DJ Shadow – Six Days – originally released in 2002, this song and video are both addictively awesome. To think of it, it may also succeed in being just a bit outside the box, in comparison to the chronologically compiled history built thus far in the Gulkin Gazette discography of Little Ditties. Always a good thing, stepping outside that box long enough to meet such unique musical creations and collaborations as enjoyable as these! ‘Six Days’ by DJ Shadow is the righteous Little Ditty I’d like to present you with today. Another dynamic music discovery, complements of the better half of The Dusk’ Till Dawn Diary Duo.